Early proceedings for the 2019 Liqui-Moly Bathurst 12 Hour race kicked off this afternoon with a new Spa 24 esq' drivers parade and drive to the circuit from the Bathurst town centre for a representative group of cars taken from this years entry. 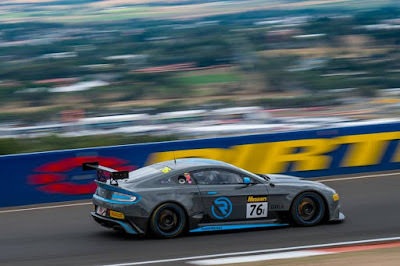 With one example from each brand on parade that duty fell to the Am entry from Swiss based R-Motorsport with their #62 Aston Martin Racing V12 Vantage GT3 - a car previously raced by them in the Blancpain GT Series but this time making its final appearance with the team as an AMR factory supported platform. All of the drivers (although one did evade this photo) were on hand to meet and greet those who attended the parade in another example of something that GT based motorsport does so well - fan access and interaction. 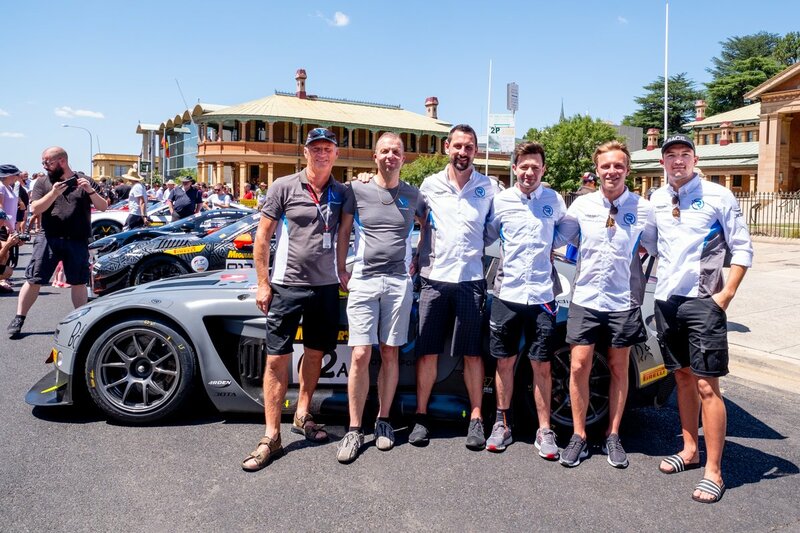 No strangers to 'The Mountain' in south-east Australia, this year will be the first that the team have competed in the top flight GT3 class having previously settled (and achieved) so well before in both the GT4 and INV class. Last time out for the crew was with Aston Martin's GT8 car in 2017. Track action for the main event of the meeting begins Friday morning with three practice sessions before lunch before a fourth in the afternoon. Things then become very serious just before lunch on Saturday with Qualifying all classes and then Class A (GT3's) only before the highly exciting Top 10 Shootout later in the early evening. The above graphic confirms the driver lists for both of R-Motorsports AMR Vantage GT3's with the #62 being the Pro and the #760 being the Am entry - both Class A.